You’re probably aware by now that working in an office is ruining your health. From sitting at a desk, to poor eating habits, to disrupting your sleep, that 9-to-5 is having some pretty frightening effects. But most people don’t have the option to pick up and find some other way to make a living. The solution, then, has to be making that office life as healthy as you can. Difficult? Certainly. But not impossible. 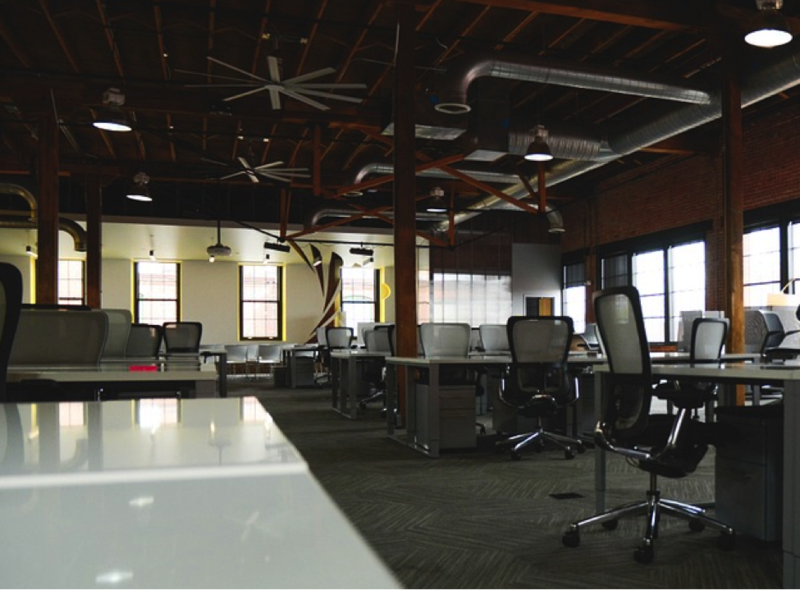 Read on to see a few ways you can make your office lifestyle work better for your health. In terms of your physical health, sitting down for extended periods of time is one of the worst things for you. You’ve heard this already, I’m sure, but considering how severely detrimental sitting is for your health, it always bears repeating. Since the chances are high that you’re sitting all the time, one solution is as simple as getting on your feet more often. Recommendations range from standing every 8 minutes to getting up for 2 minutes at least twice an hour, but the bottom line here is that the more you can stand, the better. To continue that point, if your desk doesn’t allow you to stand while you work, you need a new desk. 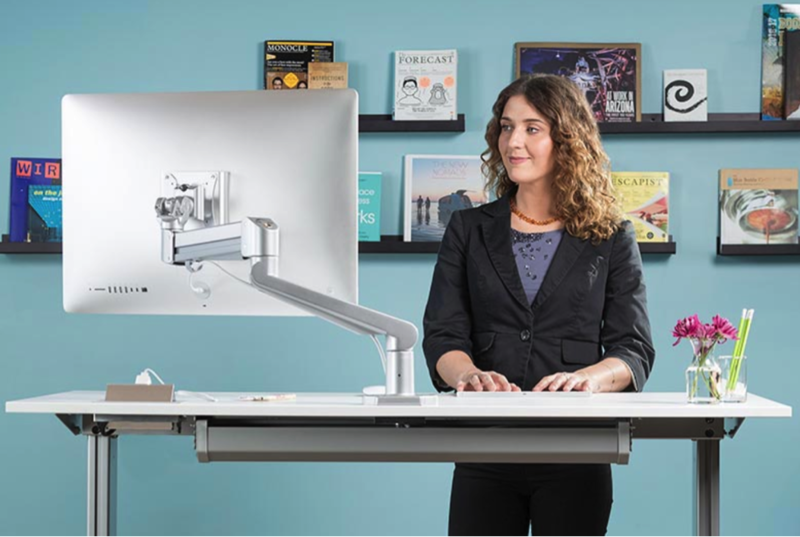 It’s difficult to go straight from using a sitting desk all day to standing, so an adjustable desk (along with an ergonomic chair for when you have to sit again) may be the best route. Yes, this costs more than zero dollars, and yes, ergonomic chairs take some setting up. But your back might be the most important area of your body to keep healthy, and it’s the one at the greatest risk in an office. The investment is worth it. Eating out for lunch every day tends to be unhealthy for both you and your wallet. And bringing your own isn’t as hard as it may seem. Depending on your available time on a given day, you can throw leftovers in a Tupperware container or make a sandwich and bring it with a piece of fruit. Don’t get a soda to drink, either. Water is your best friend. Take a reusable bottle of water to work and enjoy the innumerable benefits of staying hydrated, including brightening your mood, staving off headaches, and even keeping you alert and awake. A quick, but crucial note: Sleep is monumentally important, and your office job could be hurting your sleep patterns if you’re not getting enough daylight. The above is a matter of making sure to get outside or near a window often enough, but sleep health in general starts at home. Make sure you have a regular wake-up time – one thing that helps is having a motivating reason to get out of bed. You might try working out with a friend every morning to help solidify that wake-up time, as you motivate each other to get out of bed. More broadly than getting out of bed, though, making healthy changes in your lifestyle in general is easier if you have a friend (or friends) doing it with you. Talk to some of your coworkers and see if they’d be interested in doing any of the above. Check in with each other about how often you’ve been standing, or about what you brought for lunch that day. Not only does it help you make changes, but it means even more people are getting healthy at the same time. So while this list certainly isn’t exhaustive, hopefully making a couple of successful changes, either by yourself or with coworkers, will lead you to a better work lifestyle in general. For more healthy pitch so stay connect with Flix Expo. Isaac is a recent convert to standing furniture and is a Director at 3WhiteHats.co.nz, an online marketing agency.